The costume (in Hansel and Gretel) will be a complete contrast for her next project, A Song for Marion , which is a small British movie with Arterton playing a choir teacher for an old-peoples choir. Gemma Arterton reveals she’s learning the piano for her new role: click HERE to watch her short interview. 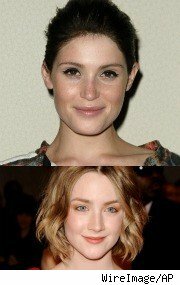 Weird Casting: Are These Actors Age-Appropriate? Today’s A-listers are versatile chameleons who convince audiences they can inhabit the lives of just about anyone in any context. What they can’t do as convincingly is portray characters whose ages differ widely from their own. Age might not be anything but a number, according to R&B singer Aaliyah, but it is important in establishing realism. Still, a lot of recent casting announcements seem to be placing familiar actors in roles that don’t seem age-appropriate. Even more curious was the announcement of Byzantium, director Neil Jordan’s return to vampire movies, which will star Gemma Arterton and Saoirse Ronan as vampires who pose as sisters. That’s believable, but they duo is actually supposed to be mother and daughter. This is problematic because Arterton is 25 and Ronan is 17. So Arterton was 8 when she gave birth? Okay, vampires don’t exactly age like we poor mortals do, but still, does that make sense? CANNES — Oscar winning filmmaker Neil Jordan is reuniting with producer Stephen Woolley to make Byzantium, a female vampire movie with Saoirse Ronan and Gemma Arterton as the lead bloodsuckers. The original script is penned by Moira Buffini and details the story of a mother vampire who turns her own daughter into a vampire and the pair form a lethal partnership, sometimes posing as sisters. 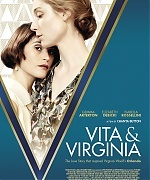 Book is adapted by “Gosford Park” scribe Julian Fellowes and Tim Rose Price. Will Ferrell briefly mentions producing Hansel and Gretel in his recent interview with Collider.com. I looked on the “always accurate” IMDB and you are listed as a producer on Hansel and Gretel: Witch Hunters and Bouncers along with some other stuff. How involved are you as the producer and is this a new thing for you where you will start producing movies that you are not in or is it always going to be stuff that you are in? Will Ferrell: No. That is kind of Adam [McKay} and I’s company [Gary Sanchez]. We are looking stuff for ourselves but are also excited to be making movies that we are not in. That is he is not directing and that I am not acting in. Hansel and Gretel is a big movie that is shooting right now in Germany with Jeremy Renner. It’s a great twist on the whole fable of Hansel and Gretel. Michael Mann’s representatives have got in touch with Obsessed With Film and say the information regarding Eva Green, Gemma Arterton and Andrew Garfield’s reported attachment to a Robert Capa biopic “was misreported a few months back and was inaccurate then and is still inaccurate today”.